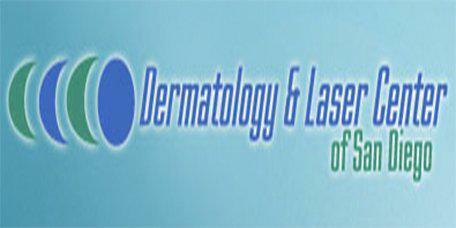 Dermatology & Laser Center of San Diego always appreciates feedback from our valued patients. To date, we’re thrilled to have collected 343 reviews with an average rating of 4.91 out of 5 stars. Please read what others are saying about Dermatology & Laser Center of San Diego below, and as always, we would love to collect your feedback. Erika is very personable, knowledgable and takes time to answer questions. Speedy check in and wait time. Dr Willoughby is friendly and easy to talk to. No complaints. First time to the practice. Will be able to give a more complete review after my second visit. Dr. Willoughby was knowledgable and understanding in regards to my reason of visitation. He answered any questions I had fully and helped me better understand my skin. Dr. Willoughby is very friendly and professional. I have been going to Dr. Mafong for several years. He is an excellent and caring Dermatologist. I highly recommend him. This was my first visit to a dermatologist. Dr. Han was very nice and professional. She took the time listening and answering my questions. She was very thorough during her examination. Will definitely be going back! Outstanding and extremely competent doctor! Thank you, Dr. Willoughby!! My hand feels so much better! I had a great experience, the nurses were knowledgable and very efficient, and Dr. Mafong answered all my questions, keeping me at ease. Thank you for taking care of me. As a new patient, the wait time was short and the consultation extensive. Bravo! Dr. Han is always extremely helpful. You can tell she really cares about her patients and making sure they have the best experience possible. Dr. Han was attentive and responsive. She addressed my concerns and provided helpful information. I had a wonderful experience and DR. Han was so nice and helpful!!! Thank you skin is getting back to normal! I have been seeing Dr. willoughby for many many years. I like him and I trust him and he puts up with my bad jokes. We accept all PPO insurance plans. Our primary PPOs are Tricare, Healthnet, Cigna, Aetna, Anthem Bluevross, Blueshield of California, United Healthcare, First Health, Pacificare, and Beech Street. If your insurance plan is not listed, please contact our office. We accept Visa, Master Card, Discover, and CareCredit.